How many sizes can we choose for glitter powder? For glitter powder made of PET,we can provide 0.05mm（1/500’’,also 002’’）~2.5mm(1/10’’,also 0.1’’). At least 13 sizes you can choose. Usually the price of 0.2mm~2.5mm are the same,for 0.05mm-0.15mm,the price is much higher than before. The efficient will be much lower for the cutting machine. For glitter powder made from plants,we can provide 0.2mm（1/128’’,also 008’’）~2.5mm(1/10’’,also 0.1’’). 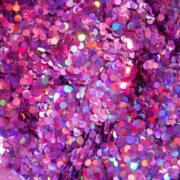 Why we cant cut the biodegradable glitter into smaller pieces? This is because the cellulose of the bio-glitter is very to broke,that’s also why the price of the bio-glitter is much higher the PET glitter powder. https://www.fineglitterpowder.com/wp-content/uploads/2018/09/05-3.jpg 640 640 fineglitterpowder https://www.fineglitterpowder.com/wp-content/uploads/2018/09/logo.png fineglitterpowder2018-09-18 03:28:532018-09-25 07:40:57How many sizes can we choose for glitter powder?